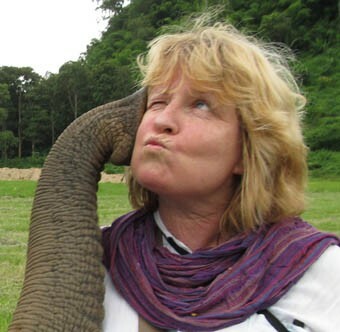 Elephant Lullaby for Faa Mai – Who Snores Through It!! 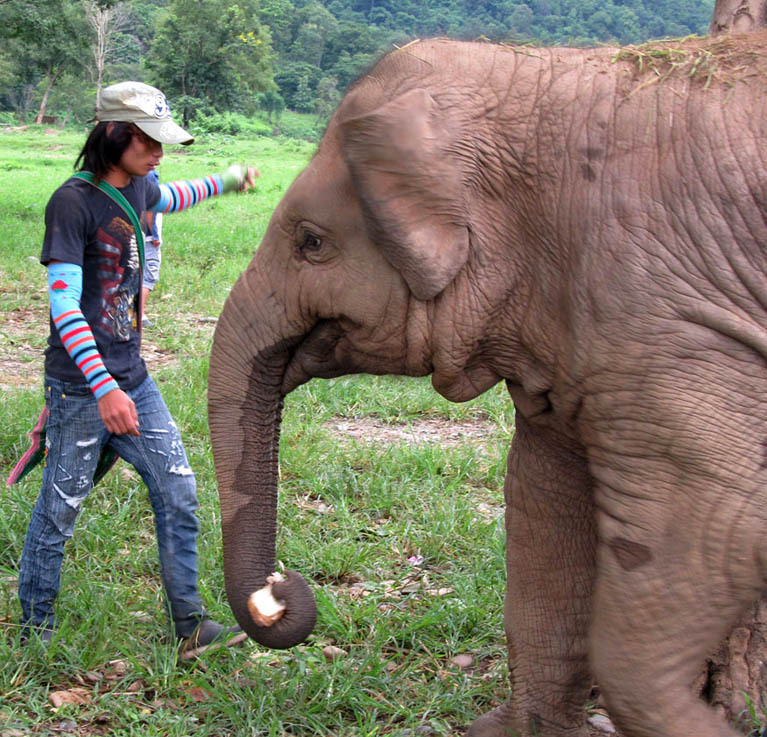 Whenever she can, Lek Chailert, founder of Elephant Nature Park, sings a lullaby to Faa Mai, who was born at the park and thinks that Lek is her human mummy. From what I gather, the flapping of the rag resembles the flapping of a mother elephant’s ears or tail. Faa Mai being told off for stealing food. This entry was posted in Elephants, Nature, Ravings on Thailand, Travel and tagged Chiang Mai, Elephant Lullaby, Elephant Nature Park, Elephant Video, Elephants, Faa Mai, Lek Chailert, North Thailand. Bookmark the permalink.